The Science and Art of Acting for the Camera provides a precise yet practical approach to help unlock the mysteries of acting for film and television. 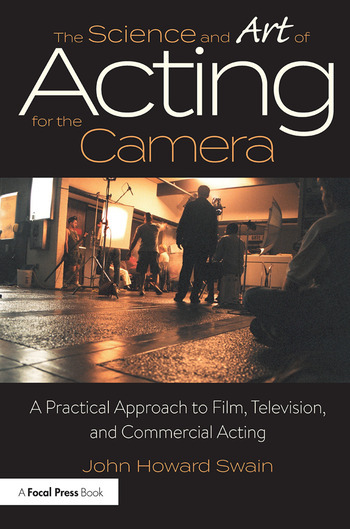 Written by veteran actor, producer, and director John Howard Swain, the book offers a clear-cut, no-nonsense technique that equips aspiring or working actors with the necessary skills to succeed on camera. The technique teaches you how to build multi-dimensional characters; construct truthful and exciting relationships; ignite stimulating emotions; craft a series of discoveries guaranteed to energize your work; and much, much more. The book also provides instruction for actors working in commercials—from slating, to the dreaded "tell us about yourself" interview, to nailing "the tag" and embracing the cliché—and supplies sample commercial copy for students to practice. John Howard Swain has coached a myriad of clients ranging from first-time performers to Emmy Award-winning actors, Supreme Court Justices, and Fortune 500 executives. In addition to his New York stage credits he has also guest-starred in dozens of television’s most iconic shows, including such classics as Hill Street Blues to Law & Order: SVU. As a director he has staged over twenty plays, including such hits as That Championship Season, Veronica’s Room, and The Owl and the Pussycat. He has also directed four films: Whose Life, Uncommon, Stand-by, and the multi-award winning short, A Younger Man. Students from his program continue to work across the globe, and can be seen starring on Broadway, in television, and on film.